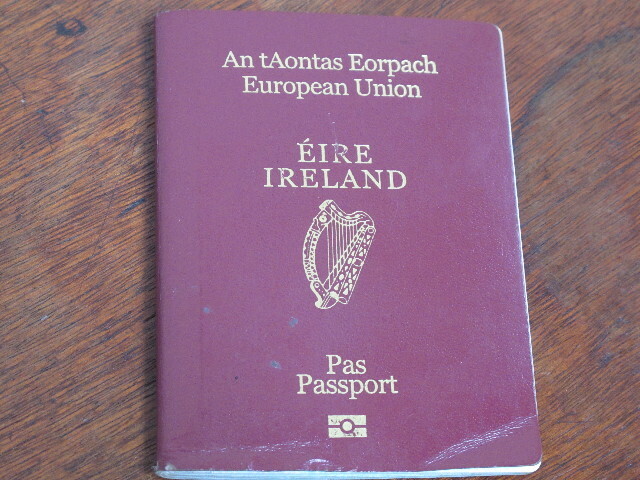 In the last guest post on the Irish economy, advocate Noreen Bowden takes us through the politicians’ faux pas and failings regarding one of the biggest problems facing a new generation — the need to emigrate — and asks why citizens abroad are still denied the vote. For more information on Noreen’s work with the diaspora community and on voting rights see GlobalIrish.ie and GlobalIrishVote.com. “When former Taoiseach Bertie Ahern left office, he counted the end of involuntary emigration as one of his political triumphs. For a brief time, it had been possible to believe that no one would have to leave Ireland to find work again. Now emigration is running at a rate of about 65,000 a year, as Eastern European immigrants return home, young people trade in unemployment in Ireland for jobs in Canada, fathers head to engineering jobs in the Middle East, and graduating nurses head to hospitals in the UK. It’s like the 1980s all over again, many commentators have noted. The governmental non-response has been striking. There has been no major speech by any minister discussing the exodus. On MerrionStreet.ie, government’s news service, a search for the word “emigration” turns up only two results. There have been almost no job stimulus programmes, and government politicians have expressed satisfaction with a drop in unemployment rates of a percentage point or two, despite the fact that the emigration of the jobless is surely responsible. One of the few government politicians to remark on emigration since the start of the crisis was Tánaiste Mary Coughlan: she was reviled for her statement that young people were emigrating “to enjoy themselves. That’s what young people are entitled to do” – a tone-deaf response that was reminiscent of the most notorious statement of the1980s exodus, Brian Lenihan’s “we can’t all live on a small island“. What has not been lacking, however, is faith in the diaspora to solve our problems. While emigrants — dispossessed and disenfranchised — are untouchables to the establishment, when the ruling class looks at the Irish diaspora they see investors, philanthropists, cultural-product consumers, ancestor-seekers, and tourists. Lauded by Brian Cowen as “our huge and willing resource“, the 70 million are presumed to be ready to share their wealth and know-how to pull us out of this crisis. Government strategies on the economy, higher education, tourism, and culture give them prominent roles. The diaspora is related to the phenomenon of emigration, sure, but in a sanitised, less-painful way: we’d like them to buy our certificates of Irishness and come “home” for visits, but we don’t expect anyone to shed tears at the airport when they leave. We do hope they’ll contribute 100 million euro to building our new children’s hospital, however. The government is so eager to engage this diaspora that I have found myself wondering whether this eagerness contributed to the complacency with which they seemed to be treating the new exodus. Official Ireland knows that this generation of expats are the new foot soldiers of Ireland’s economic army around the globe. Right now, their departure means the welfare rolls will shrink. In five or ten years, they’ll be introducing Dublin companies to contacts in Sydney, Vancouver, and Shanghai. Twenty years from now, the wealthiest among them will be invited to elite weekend think-tanks like the Global Irish Economic Forum that took place at Farmleigh last year. This generation’s emigration will be the foundation of Ireland’s next economic boom. There’s another reason for complacency, of course, and it’s the more traditional one: emigration is Ireland’s most useful safety valve — not only to siphon off “surplus” labour, but also to relieve pressures that might otherwise force change in an ossified political system. Ireland’s refusal to allow emigrants voting rights is a tremendous advantage for the insiders of the political establishment, ensuring that a big proportion of those most affected by the economic downturn won’t be around to cast their verdict. But for how much longer? The last exodus prompted a campaign for emigrant voting rights in the 1990s. The same is happening again, with calls for the vote increasing (my own among them), in a context of a tremendous thirst for overall political reform. And this time the argument is being made against a backdrop of increased international interest in transnational citizenship. Governments around the globe are eager to keep in touch with their diasporas, and most of them realise that political engagement is an effective tool. Last time emigrant voting rights were debated in the Dail, politicians could assert that such rights were exotic, limited to a few extraordinary countries like France and the US. Now, however, there is a growing awareness that emigrant voting rights are an emerging democratic norm, with over 115 countries around the world offering their expats a vote. Every EU country bar Greece allows its emigrants to vote – and Greece just lost a court case on the matter in the European Court of Human Rights. Even the peace process has changed the situation – the old argument that a radicalised emigrant population would result in massive victories for Sinn Fein falls flat now; when the Taoiseach can acknowledge that the peace process “united Irish mainstream opinion with the diaspora”, there seems little reason to fear. And it was the peace process that resulted in a new Article 2 for our Constitution; the change deterritorialised the Irish Nation, granting all citizens “the entitlement and birthright” to be part of the Irish Nation. What this means for voting has yet to be explored.